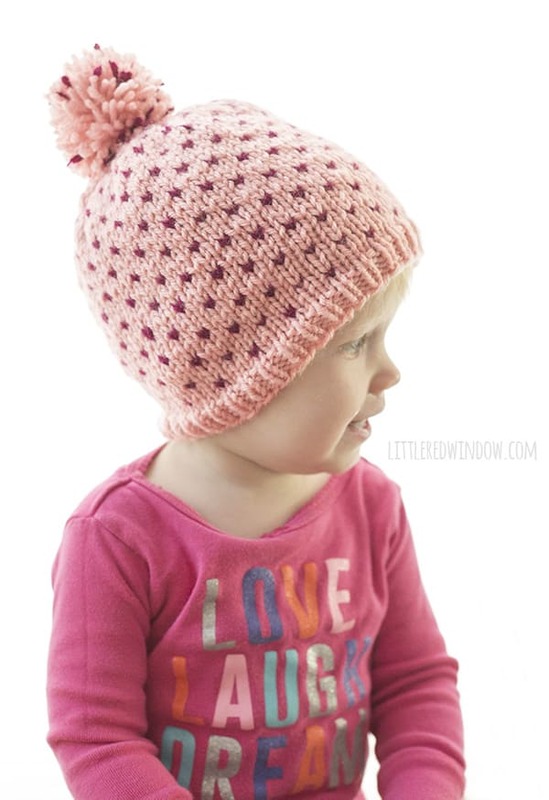 This cute Tiny Polka Dot Hat knitting pattern has an adorable little polka dot pattern (including a polka dot pom pom!) and is a great intro to fair isle knitting! I honestly don’t think polka dots will ever go out of style. 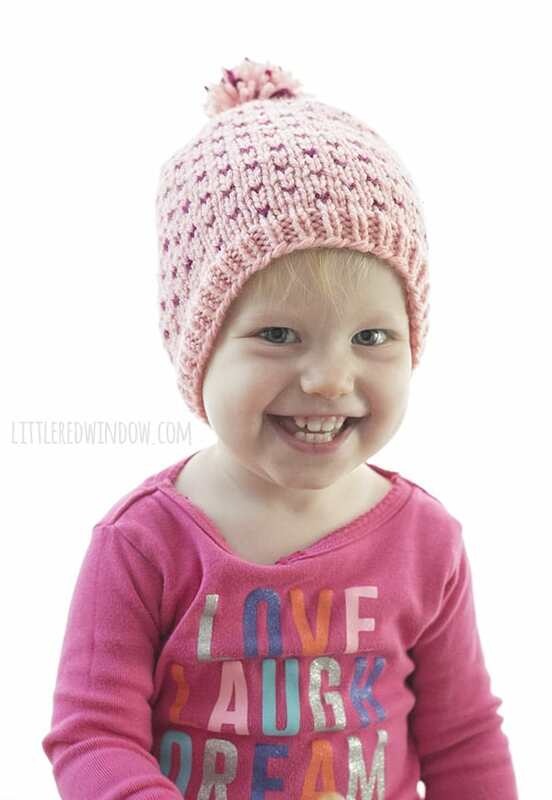 This polka dot hat knitting pattern is the kind of knitting pattern I love because just by changing the colors, you have endless options. That makes it the perfect pattern for baby shower gifts. If you’re gifting it to a girly girl, you can go with shades of pink. If the new parents don’t know the baby’s gender yet or prefer gender neutral baby things, you could make it gray with yellow polka dots or white with green polka dots. Are the new parents big sports fans? Pick their team colors! You see, where I’m going with this? And can we talk about that cute polka dot pom pom?! I’ve made multicolored pom poms before but never one like this and I just love how it turned out. Of course if you prefer a solid color pom you can definitely make it that way. Or use contrasting colors. 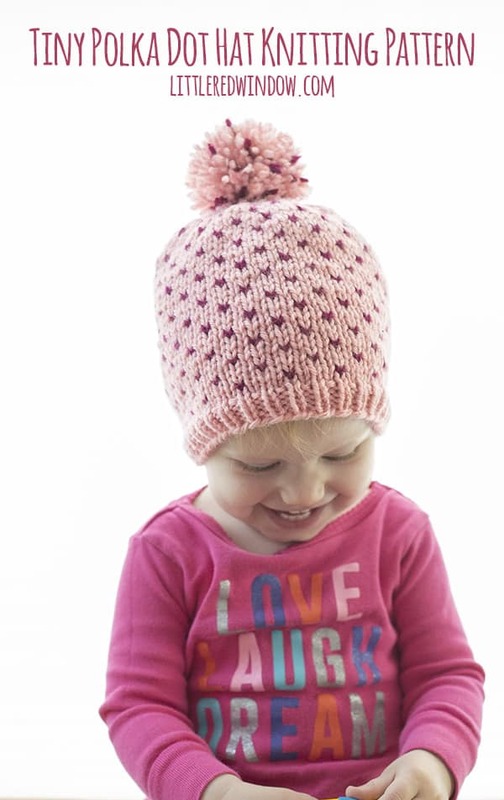 You really can’t go wrong with a pom pom… I think Baby V likes it too! 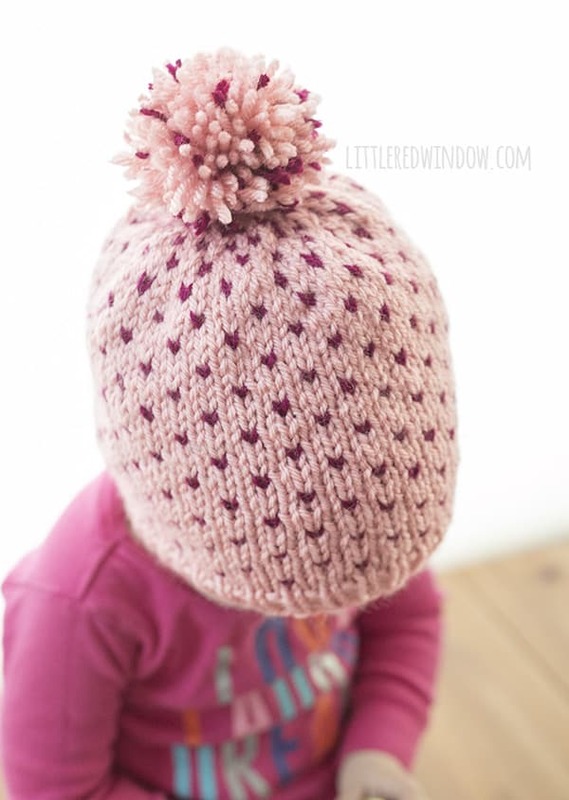 This cute tiny polka dot hat knitting pattern is available for sale only. 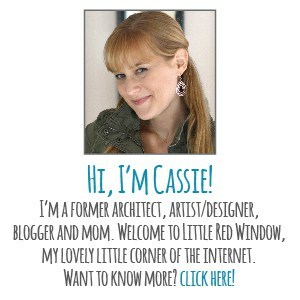 (I have a ton of free pattern options here!) When you purchase this pattern, you’ll get an instant download PDF pattern in one nicely formatted easy-to-print page that includes written instructions and reference step by step photos which you can print (or not) depending on whether you need them. This pattern is available in my Etsy shop or on Ravelry where it will also be permanently stored in your Ravelry pattern library.